To start with, this book’s cover intrigued me a lot…When I started reading, I guessed about the flow of the story.. But all my predictions were wrong.. Kudos to the Author for his brilliant writing..This book is fast pacing, thrilling with unexpected twists and turns..
Rahul Abhyankar, an IIT graduate, runs Yummimages, a digital infotainment site, along with his business partner and close friend Suhel Bagga..Rahul is in relationship with Simone who works in his company..Suhel and Simone fight with each other due to some problems in office..Rahul plans a party at his house to set things right between his close friend and lover..But Simone mysteriously disappears from the party..Rahul is totally worried as police is not able to trace her..He starts investigating and suspects that Fredo (a pizza delivery boy), Usman (swimming instructor) and Dubey (a taxi driver) may be connected with Simone’s disappearance..He finally finds out the truth which is totally unbelievable and unpredictable.. Author talks about Fear in this book… We all do something in our life that we don’t like mainly due to fear..We have to confront our fears and if we fail to do so, it will surely take us down..I feel understanding a person is not an easy task..We get fooled by a person’s behavior and have wrong perceptions about him/her..At times, Truth is stranger than fiction!!! 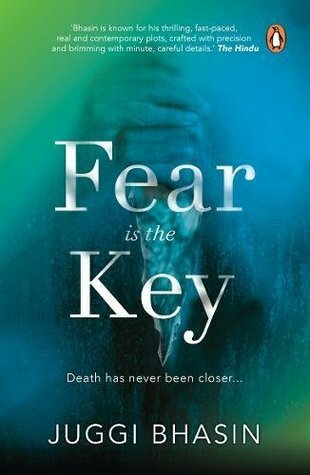 Overall, I feel that this book is very good, interesting, mind-blowing and unputdownable..I enjoyed reading this book..If you like reading fiction thrillers, then you should definitely read this!!! My rating for this book is 4.5/5. © Sadhuvi and https://sadhuvi.wordpress.com -Unauthorized use and/or duplication of this material without express and written permission from this site’s author and/or owner is strictly prohibited. Excerpts and links may be used, provided that full and clear credit is given to Sadhuvi and https://sadhuvi.wordpress.com with appropriate and specific direction to the original content.